Twenty years ago, a toxic spill in the southwest Texas town of Exile struck residents with permanent rage. Now, only those who pass the feds’ 4-S test can escape Exile’s heavily fortified borders. Heidi Palermo, unwilling medic to her family of bloodthirsty street warriors, has taken the test repeatedly, trying to prove she’s smart, strong, sterile, and sane. Three out of four ain’t bad, but the feds don’t grade on a curve. When her abusive brother dies in battle, Heidi turns her clinical eye to his killer. An Outsider who arrived post-spill, Tank seems open to Heidi’s advances. Is Tank her ticket out of Exile? 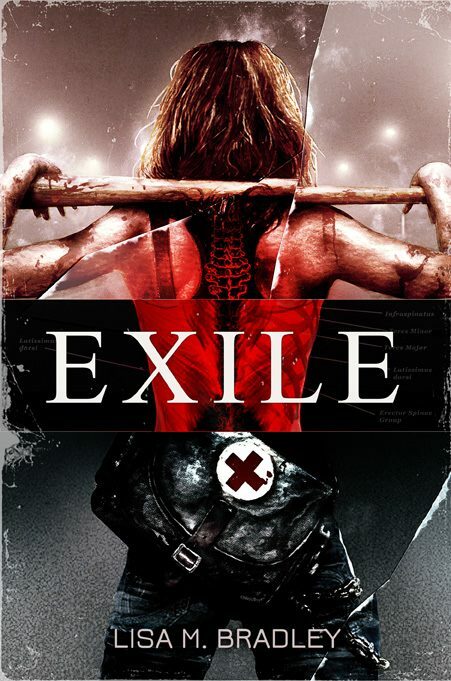 EXILE debuts Memorial Day weekend at WisCon.